We are pleased to announce that our office has moved to a new location within the Faculty of Humanities of the Utrecht University. Our new address is Drift 10, 3512 BS Utrecht, the Netherlands. 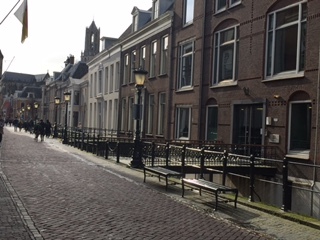 Our office has moved to a historic building located in the city centre of Utrecht, close to the old premises. With the recently certified Knowledge Centre on speech data (CLARIN-SPEECH), we now have a total of four K-Centres, all established in 2015, and exemplifying the range of K-Centres that is possible. Read more about the K-Centre and their specialties. The latest beta release of the Virtual Language Observatory is now available for public testing. It comes with an improved mapping of availability, licence and access information and a dedicated facet for the main availability levels (PUB/ACA/RES). A full changelist is available here. All feedback is welcome by mail to vlo@clarin.eu. CLARIN Lithuania speaks on the importance of Language Resources and its participation in the CLARIN Infrastructure. 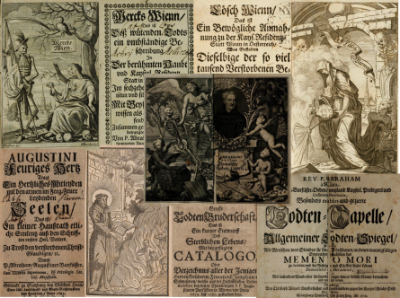 The Austrian Baroque Corpus is a digital collection of printed German language texts dating from the Baroque era, now freely available through the Austrian Centre for Digital Humanities. This upcoming Monday from 11:50 till 12:50, Dr. Martin Reynaert (Universiteit Tilburg / Radboud Universiteit Nijmegen) will give a talk on Building CLARIN Infrastructure: from text images or files to online corpus. This event is part of the Research Forum of the Department of Translation, Interpreting and Communication. The 7th Research Data Alliance (RDA) Plenary Meeting will be hosted and co-organised by the Japan Science and Technology Agency under the theme “Making data sharing work in the era of Open Science”. The Research Data Alliance holds its plenary meetings every six months in a different region around the world. These three-day working meetings bring together a unique community of data scientists, librarians, computer and domain scientists, policy makers and strategists to meet and discuss concrete actions and plans. During the conference CLARIN will contribute with a poster presentation and will also actively participate in several working and interest groups. A Day in the Life of the Digital Humanities (Day of DH) is an open community publication project that will bring together scholars interested in the digital humanities from around the world to document what they do on one day. This year, Day of DH will take place on April 8th. The goal of the project is to create a website that weaves together a picture of the participant’s activities that day which answers the question, “Just what do digital humanists really do?” Participants document their day through photographs and text, all of which is published on a community online platform. QMSS provides an intensive training is for postgraduate and early-career researchers studying linguistic and cultural evolution and the sciences of human history. The QMSS is for postgraduate and early-career researchers studying linguistic and cultural evolution and the sciences of human history. QMS provides five days of residential training in a range of methods from expert tutors. You’ll cover theoretical and conceptual material, do hands-on practical exercises using R, and get expert feedback on your own research. Places are competitive by application and limited to 14 students. All on-site accommodation and economy travel will be covered. The 10th Workshop on Language Technology for Cultural Heritage, Social Sciences, and Humanities (LaTeCH 2016) will be held in conjunction with ACL 2016 which will take place in Berlin. For scope and topics, call for papers and information for authors, deadlines and contact information please visit the SIGHUM website.